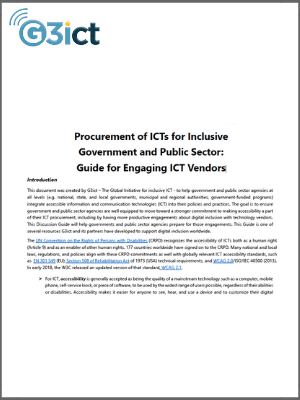 This Discussion Guide aims to help government and public sector agencies at all levels integrate accessible information and communication technologies (ICT) into their policies and practices. 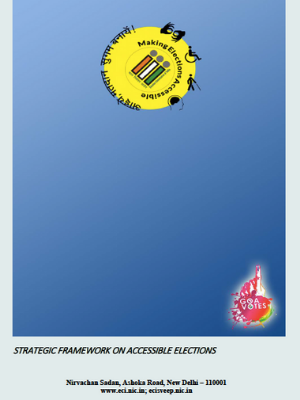 ​These compilation of guidelines issued by the Election Commission of India aim at increasing the political participation of Persons with Disabilities (PwDs) in Indian elections. ​This report, based on the 2017-2018 DARE Index data collection and analysis, provides an overall assessment of the progress made by States Parties to the CRPD. This report, based on the 2017-2018 DARE Index data collection and analysis, highlights the top 10 countries implementing the ICT accessibility dispositions of the CRPD. A Scalable Model for Centralizing, Producing, and Serving Accessible Instructional Materials for Students with Disabilities in U.S. Higher Education. 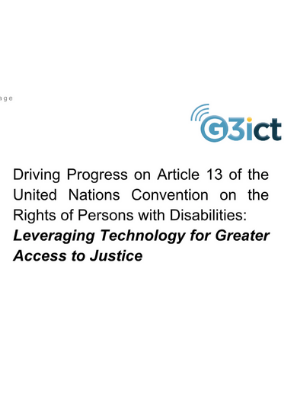 G3ict asserts that there is a significant role for both existing and emerging technologies to act as tools for promoting access to justice for people with disabilities. 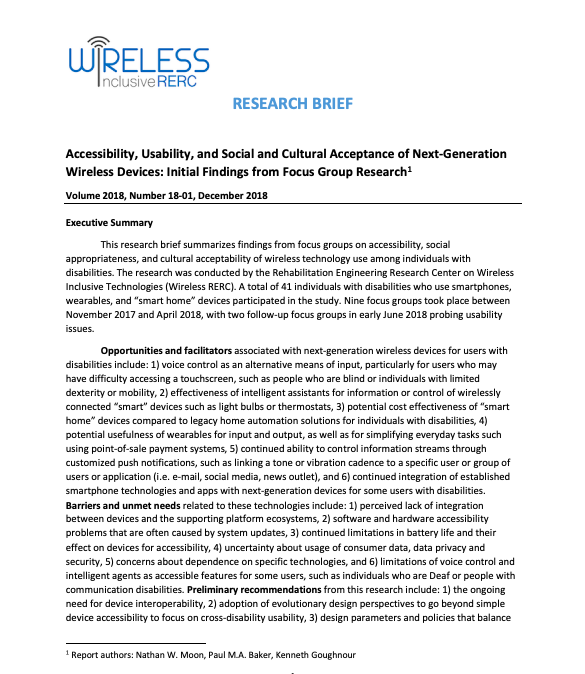 The report examines the current state of technologies for indoor navigation and the importance of a technology neutral standardized approach to providing audio guidance to blind end- users. 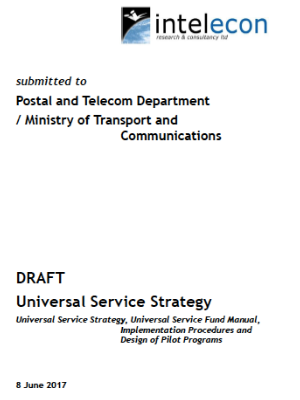 The document proposes a draft Universal Service strategy for the Republic of the Union of Myanmar (Myanmar) and includes the percentage of funds allocated for persons with disabilities. This G3ict White Paper picks up and builds on the topics addressed at the 10th European e-Accessibility Forum, held on 30 May 2016 at the Cité des Sciences in Paris. 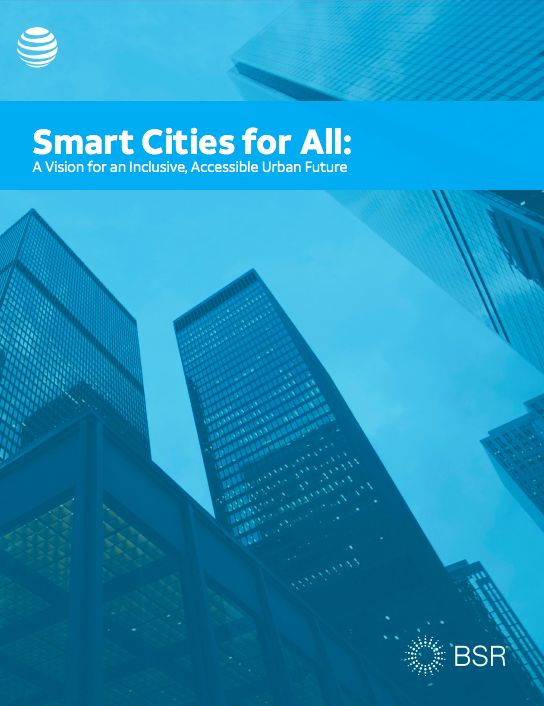 In an era of connected technologies, our cities have the potential to be built to respond to our needs and smooth the path as we lead our lives. Disability at a Glance 2015 focuses on barriers to the employment of persons with disabilities in the Asia-Pacific region, and offers solutions to strengthen their employment prospects. Students with disabilities are afforded the same opportunities and rights as any college student, but knowing how to access available services, accommodations and support resources can be a challenge.